Al-Qaida: Now Vying For Hearts, Minds And Land The terrorist network has been testing a new strategy: trying to capture territory and win over citizens by governing them and providing social services. 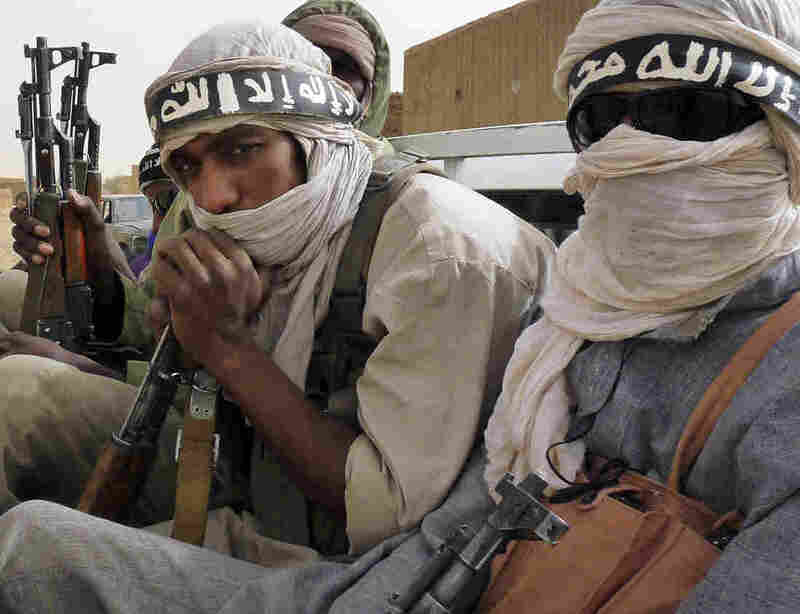 The group failed in Iraq, but is still trying in Somalia, Yemen and, most recently, in the northern deserts of Mali. Al-Qaida has been subtly testing a new strategy. In the past couple of years, the group's affiliates have been trying their hand at governing — actually taking over territory and then trying to win over citizens who live there. It happened with various degrees of success in Somalia and Yemen, and recently in the northern deserts of Mali. There is a tendency in the West to view al-Qaida as a straightforward terrorist organization whose only goal is to wreak havoc. I think it is a mistake to think that way. Al-Qaida wants to provide a way of life; it wants to implement its own version of Islamic law. To understand what al-Qaida is trying to do, one has to go back to 2005 when an arm of the terrorist group decided to take control of part of Iraq. The local affiliate was called al-Qaida in Iraq, and it tried to establish a local caliphate, a local emirate. "It went horribly wrong," says Peter Neumann, a professor of security studies at King's College London. "They were abusing the people they were governing. They were imposing very harsh rules, and they were going against tribal structures. Ultimately the local people turned against them." Specifically, they turned against Abu Musab al-Zarqawi, the leader of al-Qaida in Iraq. In his early days in Iraq, Zarqawi focused on Western targets. He bombed the United Nations headquarters in Baghdad's Green Zone and Western hotels in Jordan. Then he became a master of suicide bombings and started focusing on Shiite civilians. His bombers ignited suicide vests in open air markets and in popular cafes. Eventually local Iraqis realized that al-Qaida's attacks were killing more Iraqis than Americans, and they began to side with the U.S. Tips flooded in to U.S. intelligence forces in Iraq, and a short time later the Americans found — and killed — Zarqawi in 2006. Neumann says that the lessons from Iraq were not lost on al-Qaida. "There was a huge amount of soul-searching going on within the movement afterwards," he says. "And the conclusion was that al-Qaida would have to immerse themselves with the people rather than go against them." Members of Ansar al-Sharia, another al-Qaida-affiliated group, man a checkpoint at the southern Yemeni town of Jaar in April. Government troops recently retook areas in the country's restive south from militant control after a two-month offensive. And al-Qaida has tried to do that in Somalia, Yemen and, more recently, Mali. In Somalia, an al-Qaida-linked group called al-Shabab had been holding areas around the capital, Mogadishu, for months, only to be repelled by African Union troops this past spring. Similarly, the southern part of Yemen — particularly in Abyan and Shabwa provinces — had become al-Qaida territory. 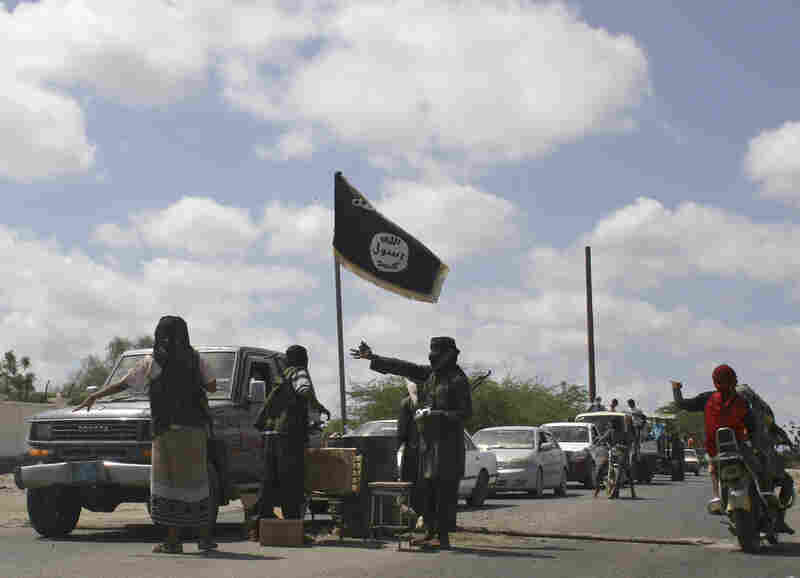 Yemeni forces, aided by U.S. military advisers and airstrikes, recently drove most of the al-Qaida fighters from the area. Mali is still up for grabs. Even though the groups appear to be on their back foot now, it doesn't change what is clearly a new strategy for the terrorist network. "There is a tendency in the West to view al-Qaida as a straightforward terrorist organization whose only goal is to wreak havoc. I think it is a mistake to think that way," says Gregory Johnsen, a Yemen expert at Princeton University. "Al-Qaida wants to provide a way of life; it wants to implement its own version of Islamic law." And to do that, they need something fundamental: land. 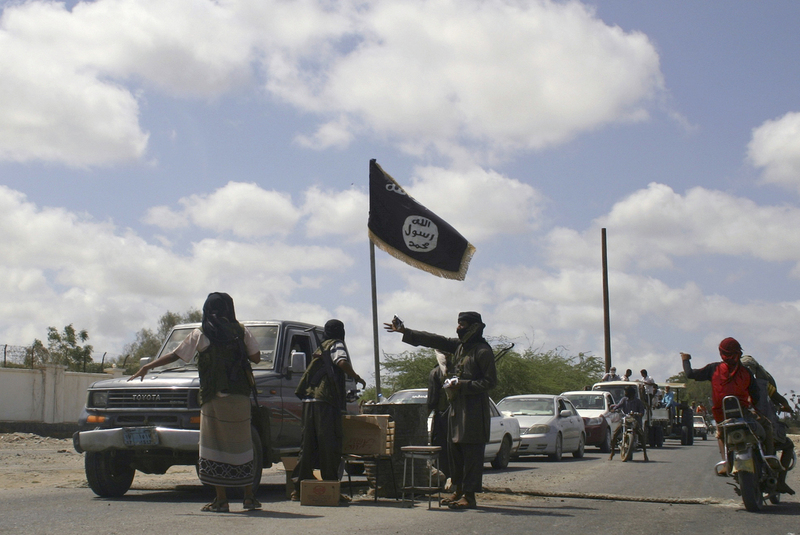 Al-Qaida's arm in Yemen, known as al-Qaida in the Arabian Peninsula, or AQAP, is the group Johnsen has studied most. He says that in 2011 and 2012, AQAP started taking over towns in southern Yemen — reinventing itself in a matter of speaking by changing its name to Ansar al-Sharia, or Supporters of Islamic Law. The new group had essentially exactly the same membership as AQAP, but the new name was meant to project a kinder, gentler image. That's ultimately the lesson from Hamas. [The Islamist group governing the Gaza Strip] is so difficult to counter as a military force not because of their military strength, but because they are so immersed within the population. Al-Qaida's softer approach came around the same time that the Arab Spring had started. The Yemeni government of President Ali Abdullah Saleh had all but crumbled. The Yemeni military wasn't putting up much of a fight, so AQAP made a land grab. "They were administering the towns, and really they were essentially the de facto government there," says Johnsen. "It was al-Qaida who was providing services, al-Qaida who was providing teachers, and running the police forces and so forth. As difficult as it is to believe, al-Qaida was doing a better job of providing services to some of these areas than the Yemeni government had been doing for decades." Obama administration officials have a more skeptical view of how well al-Qaida governed the areas it controlled, and they say that the territory was tiny. But given that the Yemeni government had been virtually absent for so long, even a day of electricity or a policeman on duty went a long way. There's a precedent for what al-Qaida is doing. Other violent groups have tried to win over supporters by providing social services — a tactic that has been effective. "That's ultimately the lesson from Hamas," says Neumann of King's College, referring to the Islamists who govern the Gaza Strip. "Hamas is so difficult to counter as a military force not because of their military strength, but because they are so immersed within the population." What's so interesting about the al-Qaida strategy is that it defies Osama bin Laden's wishes. Letters discovered in bin Laden's compound in Pakistan show bin Laden telling leaders from the group's arm in Yemen not to attempt to take over territory. Bin Laden said the group didn't have the ability to govern. Johnsen says the leaders of AQAP have rationalized their defiance today by saying bin Laden's directive has been taken over by events. That's not to say that AQAP has been able to hold onto some of the territorial gains it has made. The U.S. military has been helping the Yemeni military drive the group from its safe havens in the southern part of the country. But Johnsen says the group clearly thinks the retreat is only temporary. In letters that AQAP left in the Yemeni cities of Jaar, Shaqra and Azzan after decamping, the group essentially said it would "be back."